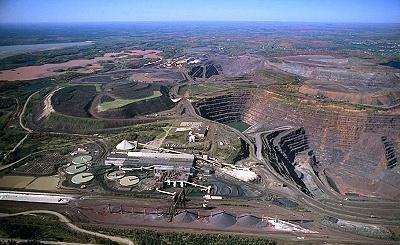 PALMER, MI-- Operations have officially ended at the Empire Mine in Palmer. Cliffs Natural Resources says as of Thursday the mine was put into an indefinite idle state. The company says it will not be completely shut down so the Empire will stay compliant with certain maintenance and environmental codes. About 266 hourly employees still at the mine will work to transfer some of its assets to the Tilden Mine in Ishpeming and secure the rest. Those workers will be laid off August 28. WLUC-TV says another 45 salaried employees will also be laid off. Some workers will transfer to the Tilden, while others could seek employment at another Cliffs mine in Minnesota. The Tilden Mine will continue normal operations. MARQUETTE, MI-- The Empire Mine will close at the end of 2016. That’s the word from Cliffs Natural Resources CEO Lourenco Goncalves, who spoke at a State of the Company meeting Wednesday at Marquette’s Holiday Inn. WLUC-TV says the closure will affect 400 employees, some of whom may go to other mines in Minnesota. Goncalves said Cliffs will start to wind down operations at the Empire and workers will get warning notices in the next couple of months.